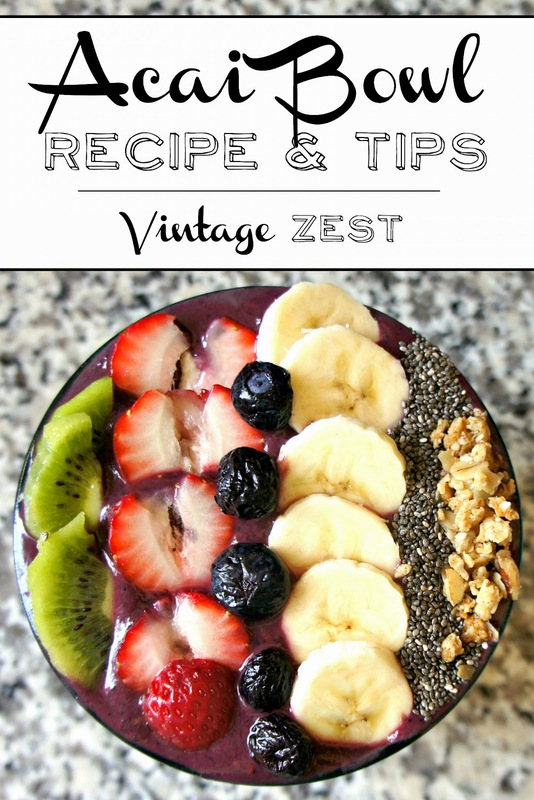 Açaí Bowl Recipe & Tips ~ Diane's Vintage Zest! 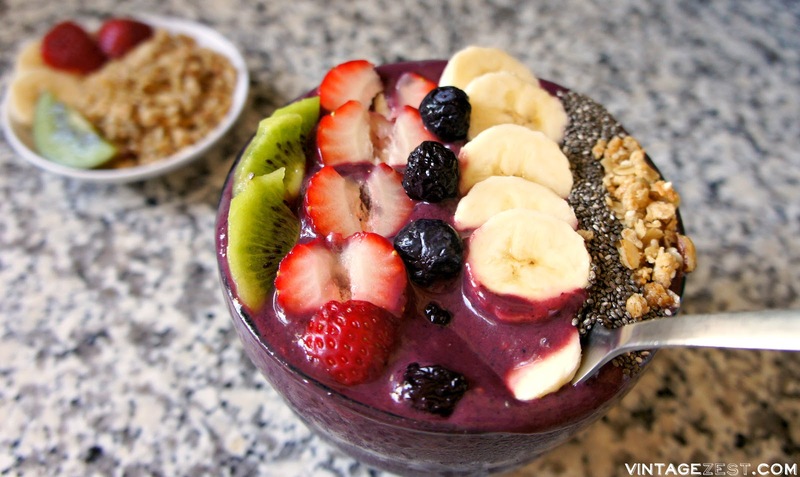 Have you heard of an açaí bowl? 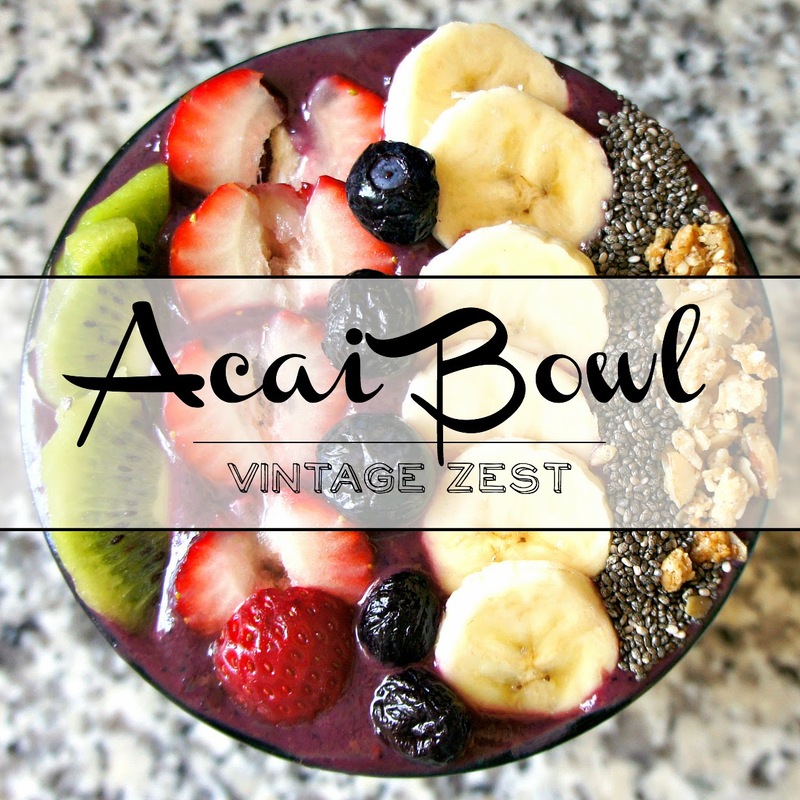 Maybe you haven't, so if you are not familiar, açai bowls use the superfood açaí berries to make something truly nutritious and delicious! Besides the health benefits (seriously look them up!) they are a gorgeous breakfast or snack. In fact, you may have seen some beautiful versions on Instagram. The best part of these bowls are that they are completely customizable! I made my bowl using Silk soymilk, in honor of last month's National Soyfoods month, when I shared a savory lasagna recipe. 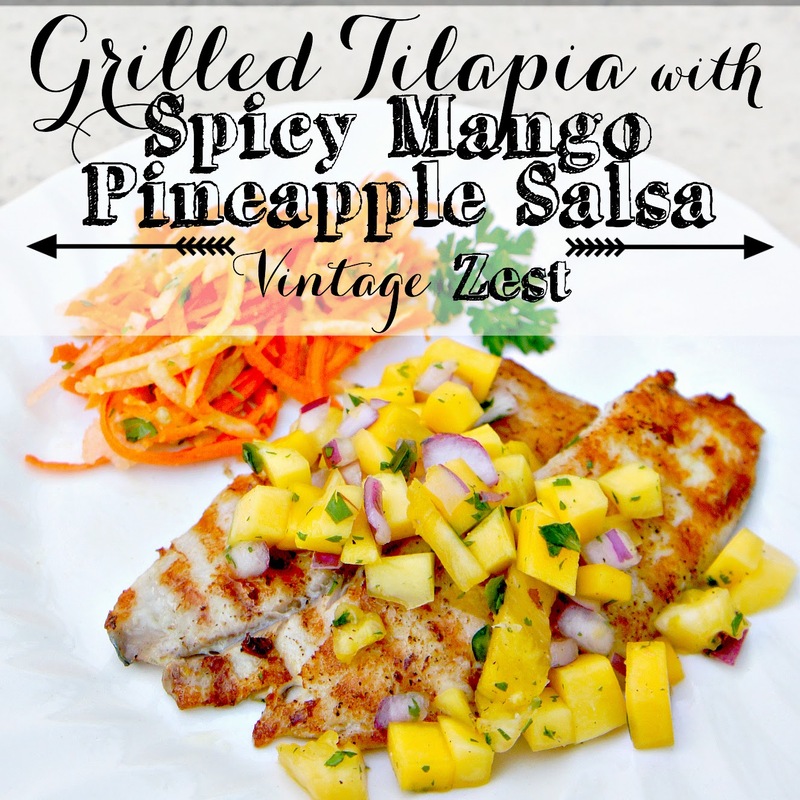 Of course, I topped mine with some gorgeous fresh fruit for some color, flavor, and nutrition! Lastly, I always use a few sprinklings of chia seeds, granola, and whatever strikes my fancy! For this bowl, I used the Vanilla Pecan Granola from Boulder Granola because it is just the right amount of sweet with a super low sugar content. It's the perfect sweet crunch to complement the creamy, tangy açaí bowl. Yum! Just a couple things before digging in. 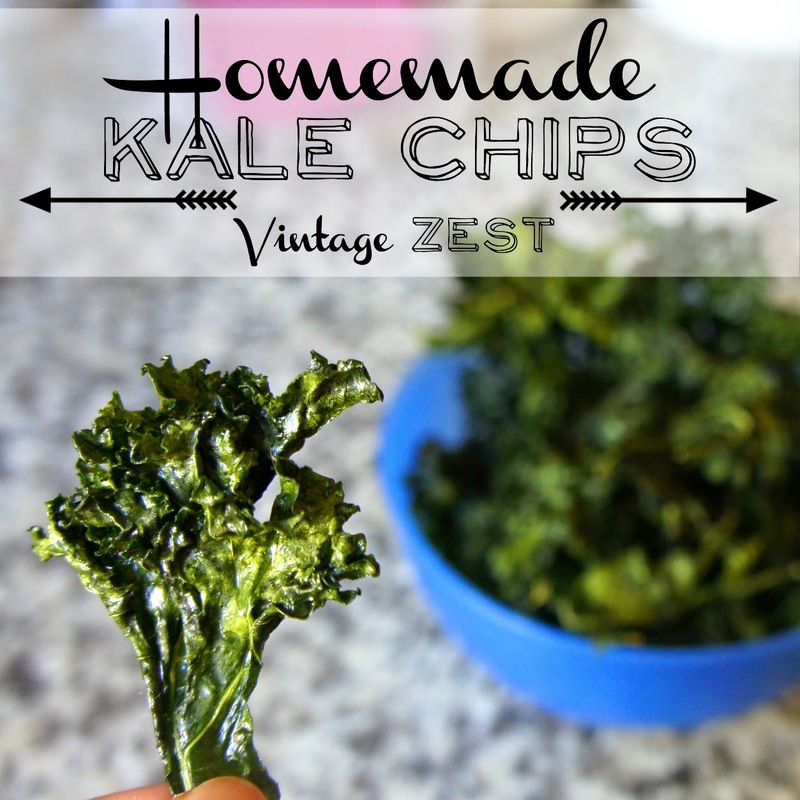 The recipe itself is super easy and anyone can make this. Probably the hardest part will be finding the açaí berry pulp. The easy option in my area was in the freezer section of Whole Foods. 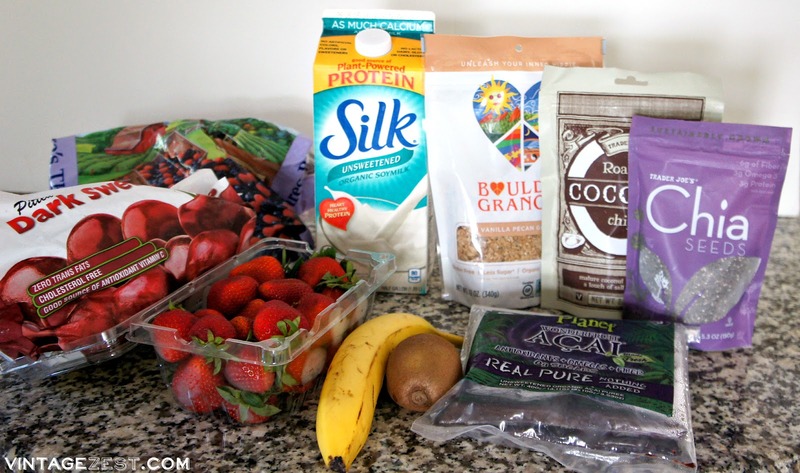 I have also heard that the açaí powder is a great option when buying online, but I have not tried it yet myself. I'll give it a try next time! Now, are you ready to dig in! 1. Thaw your açaí puree by running under water for a few seconds. 2. 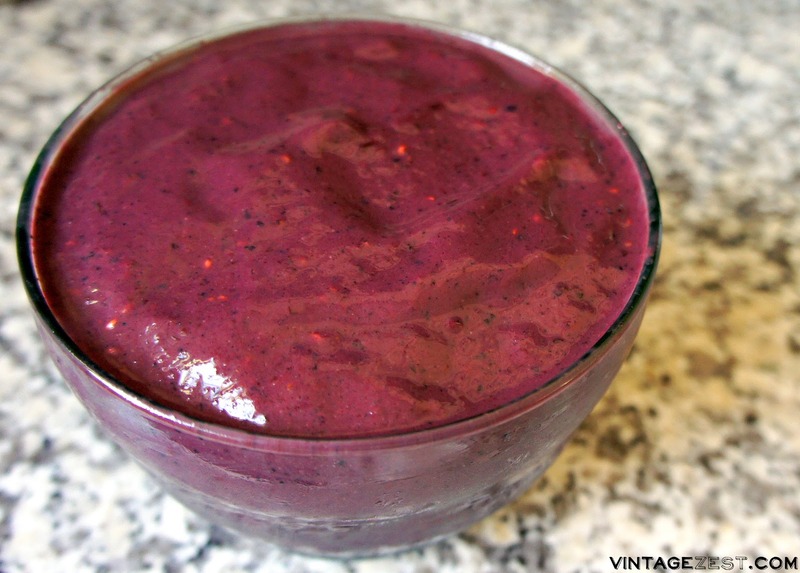 In a blender, add the banana, açaí pulp, frozen fruit, and a splash of milk. 3. Blend on low until larger chunks are broken down, then gradually increase speed. 4. Adding the milk a little at a time, stopping to scrape down sides of blender if needed. 5. 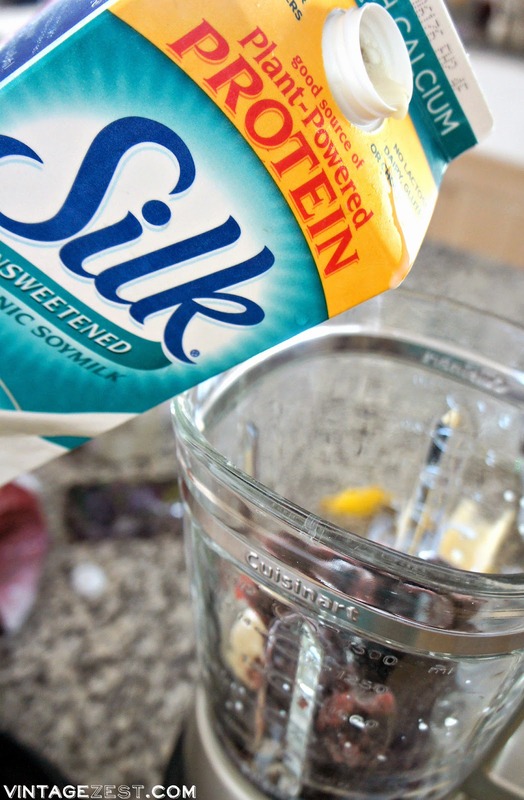 Stop when the mixture is the desired consistency of a thick smoothie, then blend on high for an additional 15 to 20 seconds. 6. Add toppings! Arrange the fruit and crunchy toppings any way you would like! 7. 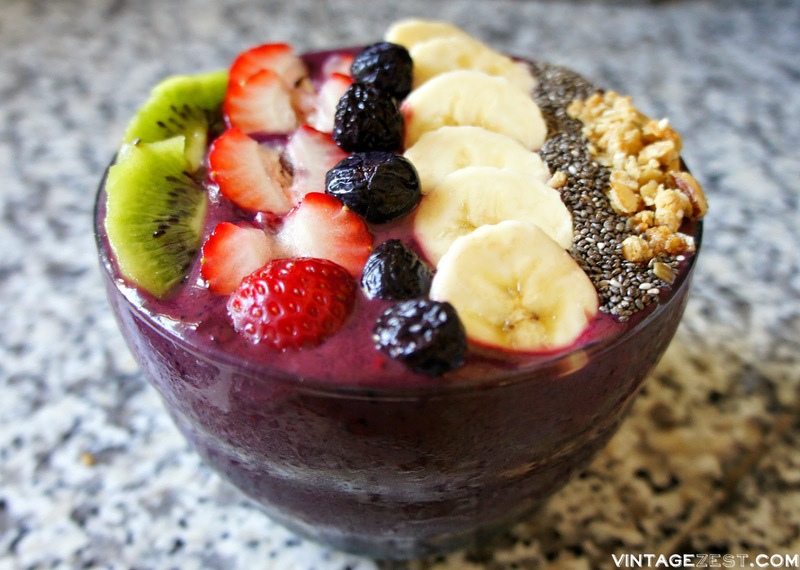 Enjoy your gorgeous açaí bowl! I absolutely love the deep purple of the açaí bowl, and it always feels like I'm having a luscious sweet treat in the morning... even though it is super healthy! Give it a try since it is super easy and it's fun to see how everyone decorates their individual bowls. A little bit of craftiness is a good way to start every day, right? What will you top your açaí bowl with? 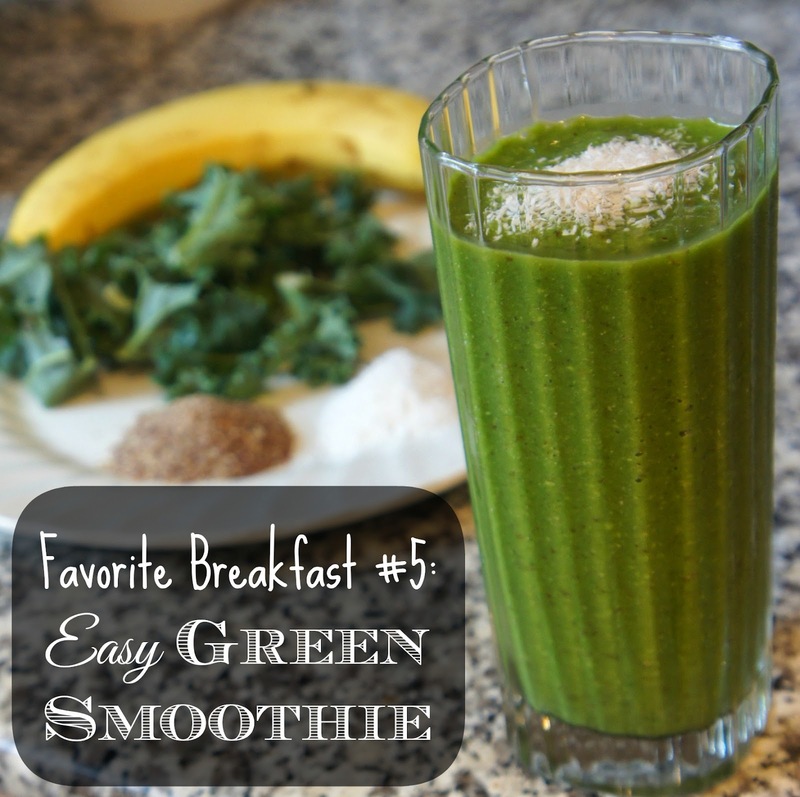 Favorite Breakfast #5: Easy Green Smoothie!